Former minister who resigned after investigation casted shadow over security past and credibility promises return to public life. 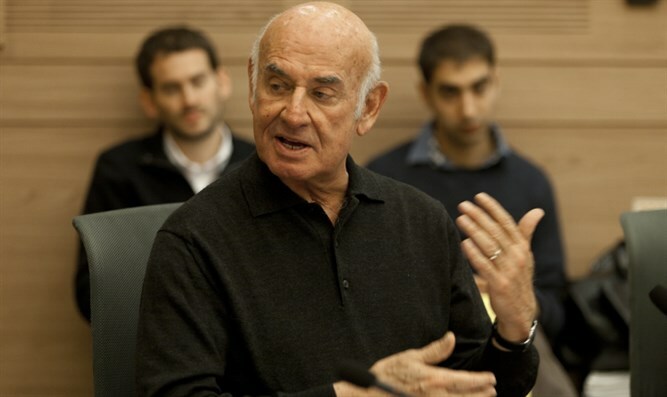 Former minister Yaakov Peri says he plans to return to public activity after retiring from the Knesset following an Uvda investigation in which it was alleged he lied about his military service. "I was very hurt by the criticism against me, and I'll return to public activity in various areas in the near future," he said in an interview with 103 FM. "My decision to become a civilian was made in seconds, and now it's a bit strange to me. I decided that if association with me is liable to harm the Yesh Atid party, I preferred to leave the party." He added that in the future he intends to address his retirement. "I'll interview about that when I'm ready." Perry also referred to the Iranian nuclear program archive exposure: "An intelligence officer who spent his entire life dealing with secret materials and clandestine findings cannot help but be alarmed by the intensity of the exposure," he said. "I assume checks were carried out to find out the extent to which such exposure could damage the intelligence sources, but there's no doubt this was a press conference that exposed unprecedented data." However he qualifies and says "if it were a critical issue, I believe elements in the defense establishment would have stopped Netanyahu's speech and it wouldn't have been published," he said. "This is an impressive and admirable achievement that adds credit to the image of the Mossad and the intelligence bodies of the State of Israel in the world, but the question is whether this exposure was required for the purpose that Netanyahu set for himself. In my opinion, the answer is negative. When I look at reactions from the world, many say Netanyahu didn't say anything new, so I believe secret activity would have achieved a better result," concluded Perry.